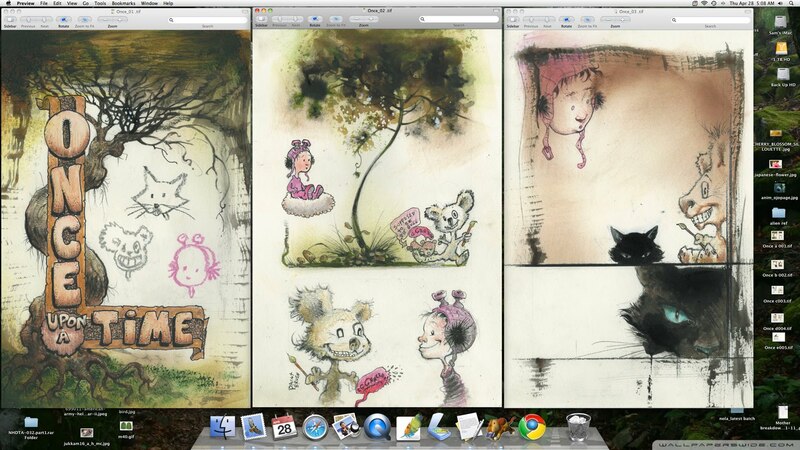 The Hero Initiative: Hero Comics 2011 is coming, Sam Kieth preview! 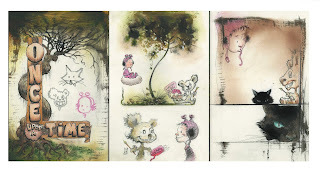 Hero Comics 2011 is coming, Sam Kieth preview! Hero Comics 2011 is on its way, courtesy our pals at IDW Publishing! 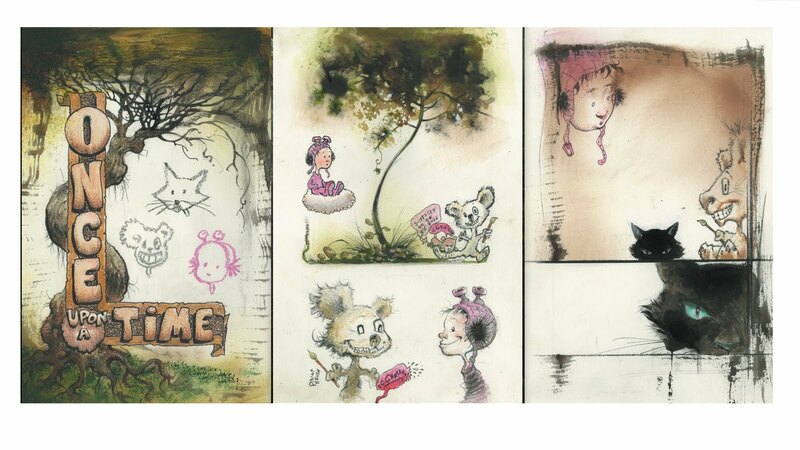 As part of the festivities, Editor Scott Dunbier is "putting the band back together," reuniting the ORIGINAL Sandman creative team of Neil Gaiman, Sam Kieth and Mike Dringenberg. That trio will be doing an all-original story for the book, and one-third of that team will be taking you behind the scenes. Sam Kieth has finished a nine-page story for Hero Comics 2011 all about putting the three ol' collaborators back together. Up above, an unlettered preview of the first three pages. It's a bit allegorical. One guess who the little kid is. One guess who the koala bear is. One guess who the black cat is. You can read the whole thing, plus the Gaiman-Kieth-Dringenberg story, PLUS an original "Chew" story by John Layman and Rob Guillory, PLUS an original "Elephantman" story by Richard Starkings and Doug Braithwaite and more in Hero Comics 2011 in late June! Why is the koala (not a bear of any kind) rabid? Get thee to PopCons for great convention pics! Hero Memorial Day sale at Phoenix Comicon! John Romita/Tom Palmer art; take a guess! Joe Madureira Ultimates art up for auction! Hero members FREEBIE at San Jose con, May 21-22! Hero product sale at Atomic!